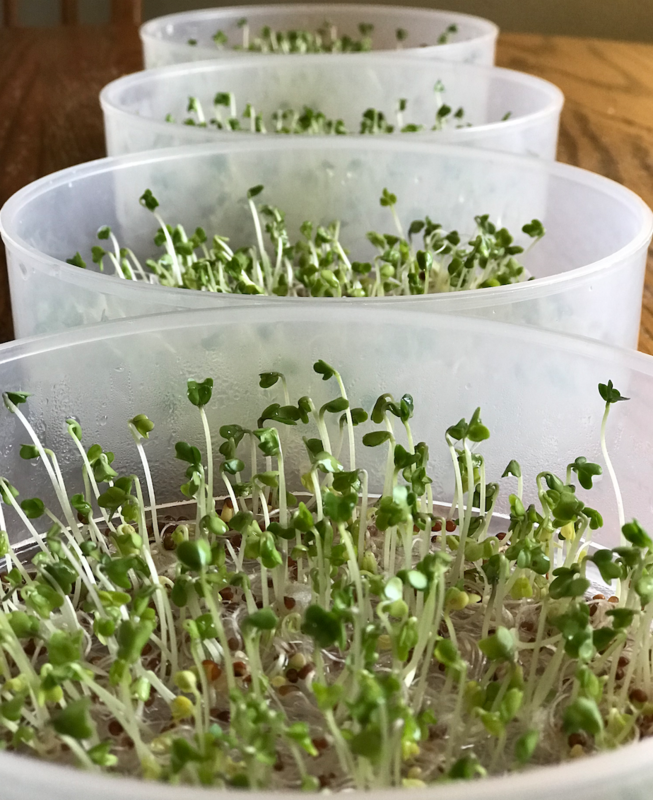 If you want to pack a huge amount of nutrients and disease fighting properties into the smallest possible food, then you will want to learn about growing your own broccoli sprouts! Since the management of both lupus and lyme is largely directed by my intake of large quantities of vegetables, it’s great news when I don’t have to spend as much time chewing. As much as I love eating, there is something to said for efficiency, especially when you are eating consciously to heal the body. Good news for both broccoli lovers and haters: sprouts have all the nutrition of broccoli and even higher amounts with certain important phytonutrients. For example, the anti-cancer and anti-diabetic properties are much higher in sprouts than mature broccoli thanks to a nutrient called sulphoraphane. The heart benefits are also huge. Go here for a more detailed breakdown: Broccoli Sprouts Vs. Broccoli It’s all very impressive. Nutrients don’t do us a whole lot of good unless we can absorb them and use them! Sprouts have a much higher absorption rate of sulphoraphane than broccoli… 74% versus 19%. I’m a wannabe gardener with a lupus-induced sun allergy. I want to garden but I cannot… yet. 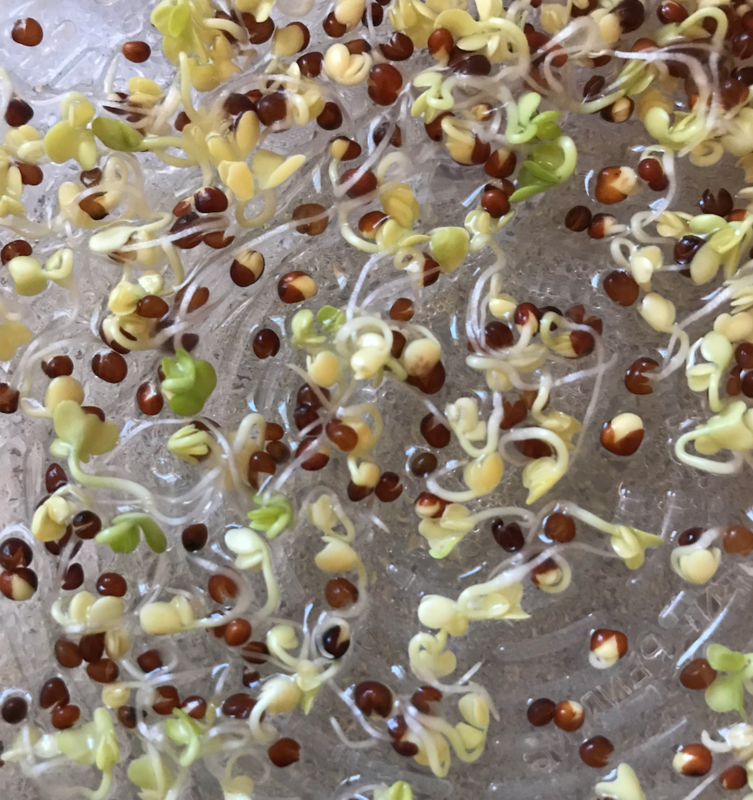 In the meantime, I grow sprouts neatly and successfully on my kitchen counter with zero dirt, zero bugs, and zero gardening knowledge. Plus… it’s really hard to kill a sprout in the 4-7 days it takes to grow. This is the ultimate confidence building project! WHY NOT JUST BUY THEM? You certainly can. But you will pay a lot more than the pennies it will cost you at home. More importantly, the greatest nutritional benefits in sprouts are found in 3-4 day old sprouts. That’s farm to table age and your typical grocery store probably isn’t able to provide something like that. Easy. Any way you want to. A little handful on top of a salad or in a sandwich are obvious choices. But they can literally go on top of any dish you want. Top a potato or bowl of soup. Put them in a smoothie. Or just eat them plain. It really doesn’t get simpler than this! You provide the space and a little water… the seeds (designed so perfectly to do this by God) do the rest. The most complicated this ever gets is figuring out which sprouter to buy. I would love to buy this gorgeous $70 clay sprouter I found on Etsy but let’s be real… I have many kids and they break my pretty things. And sometimes in my haste, I also break my pretty things. Since it is not yet my season for fragile decor, I opted for a frugal option that still grows lots of sprouts, is easy to care for, and has a small countertop footprint. 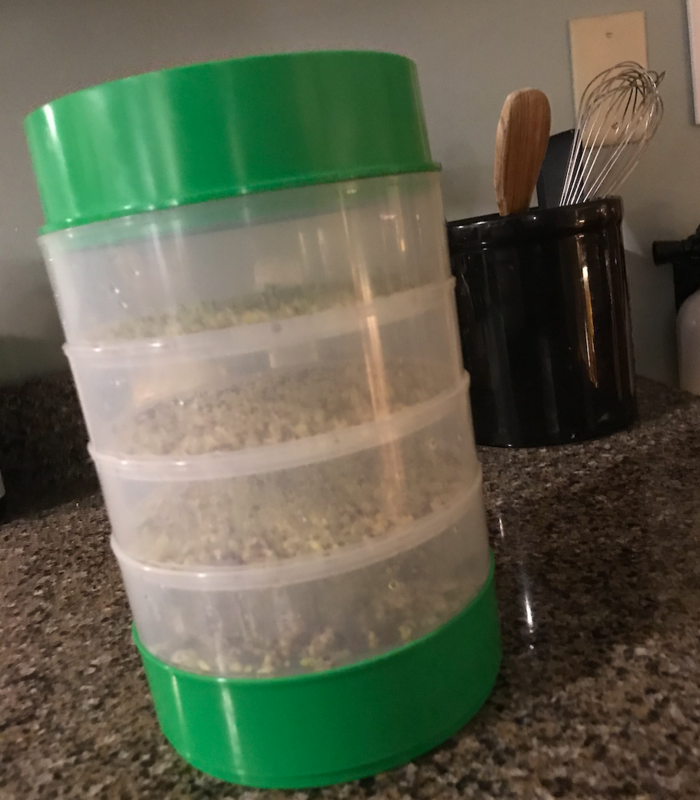 I buy Organic Broccoli Sprouting Seeds from Handy Pantry in bulk (because I’m in this for the long haul) and I use this inexpensive sprouter with a small countertop footprint. It washes easily with vinegar and houses plenty of sprouts. No complaints! I also gave one to my sister-in-law for a birthday present with seeds… and I hope she still loves me. How could she not? Sprouts are a universal love language, aren’t they? Handy pantry also has jar kits (which are adorable and not plastic) and complete starter kits with a variety of sprouters and seed selections. Sprouting involves rinsing the seeds and sprouts daily 1-3 times for up to 7 days depending on the temperature. Direction vary slightly according to the sprouter you are using and do come with the spouters I have linked and direction also came with the seeds. I am a little silly with delight when my sprout babies start to grow. And no, my sprouter isn’t pretty. But that is quickly excused when I see the beautiful sprouts! It is an amazing feeling to grow what you eat! When the sprouts are ready to serve, I just swish them around in a bowl of water to knock most of the seed pods loose. I don’t mind having a few so I’m not uptight about this. And that’s it! 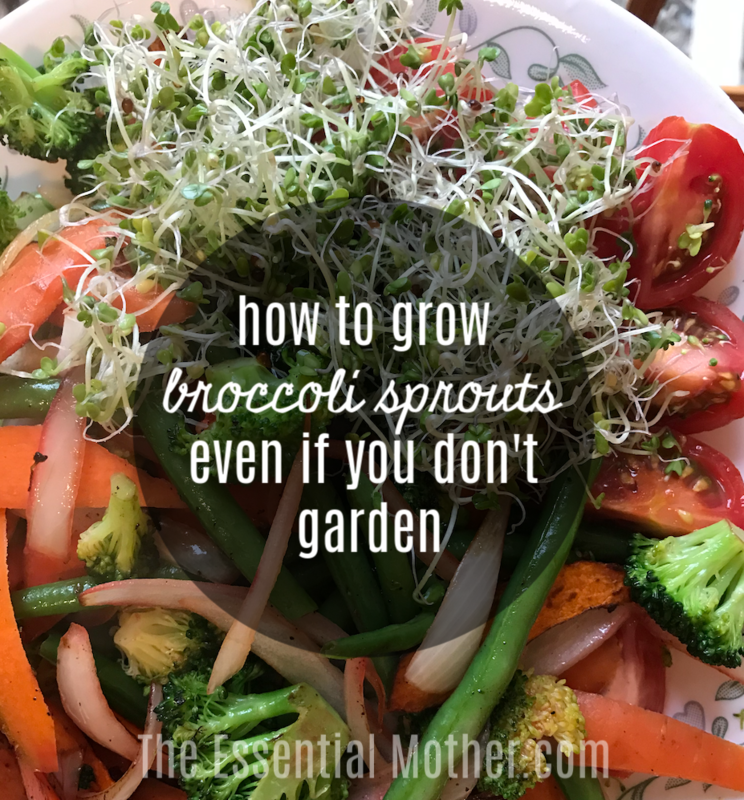 If you are serious about health and beautiful food, you should definitely sprout! Enjoy! Since I started my clean eating journey six years ago, I've had to learn quickly how to eat real food on a budget and with limited time to prep and cook. If I had a million dollars, I'd pay someone to come and prepare my weekly meals... but I don't. Instead, I have Pinterest, 8 kids, and Thrive Market! We work together to make healthy, edible, and sometimes delicious food for our family. 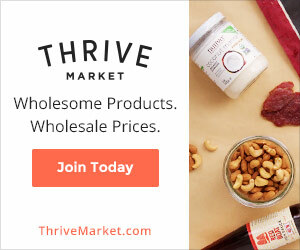 I came to love Thrive Market a little late in the game and passed over it many times before finally jumping in when I saw this fantastic coupon: 25% off your first order. Whoot! Combined with the free trial month, I was more than happy to dive in. 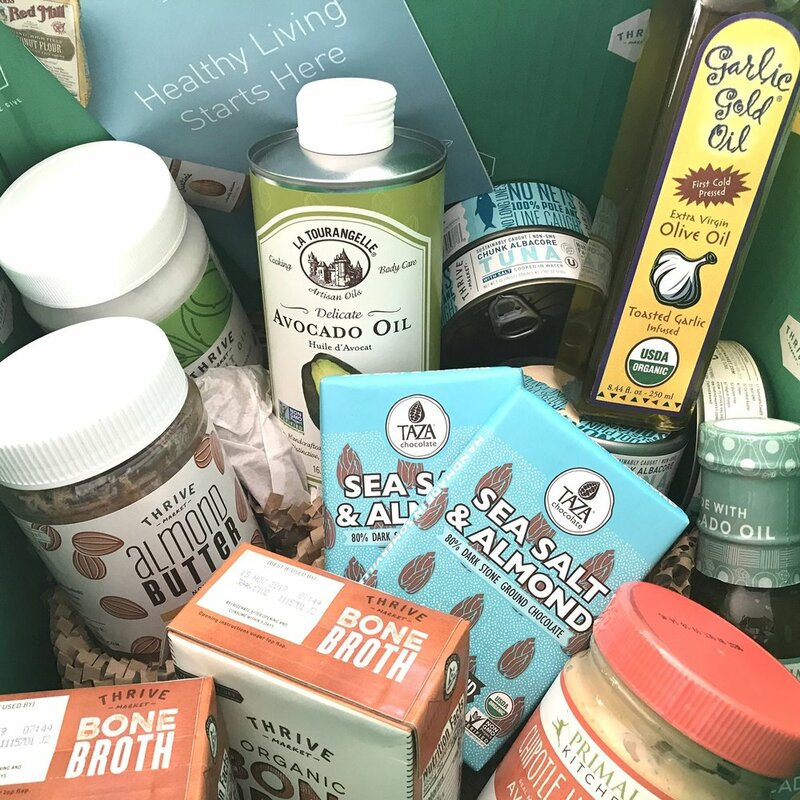 My first order ever is pictured at the top of this page and featured products I already knew and loved, my first introduction to Primal Kitchen (LOVE!!! ), and some clean make-up brands. I figured that I would take advantage of the deal and the trial month and then just quit. The problem with that strategy was that I ended up loving the products, the service, and the savings. I discovered that several of my staple paleo purchases were less on Thrive Market than they were on Amazon, and I started saving money right away. When it came time to opt in to a full membership, I knew that I had found the paleo/keto/real food online Costco-like option I'd been hoping for... and it was really a no-brainer. Thrive Market offers the best-selling natural and organic products at wholesale prices through an annual membership. Thing Costco meets Whole Foods online! Popular brands and best-selling products including food, snacks, supplements, vitamins, non-toxic cleaning supplies, beauty essentials, baby products, home goods, and much more. 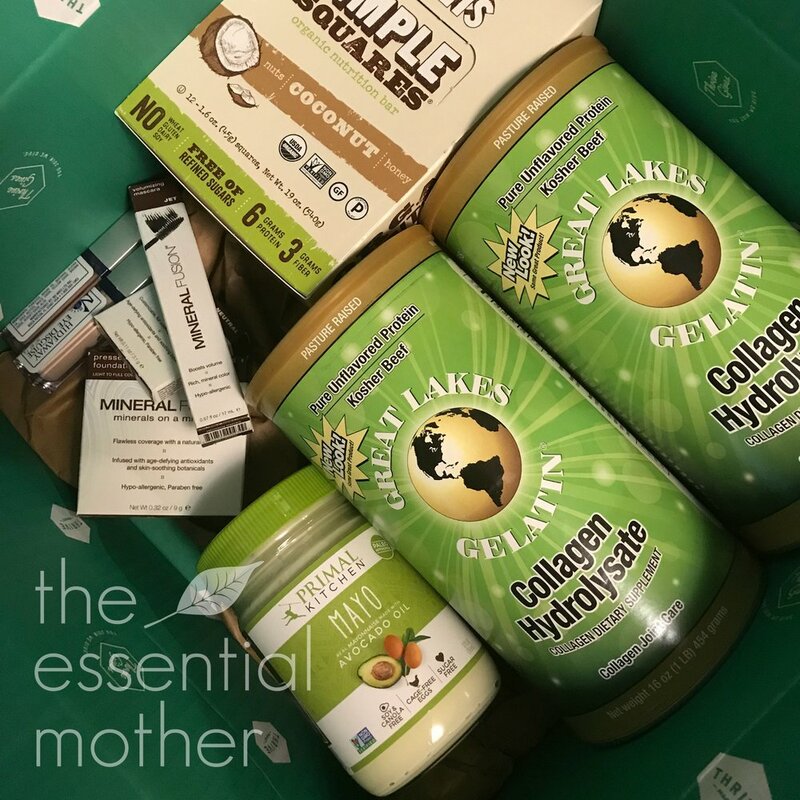 The site is stocked with an amazing array of raw, vegan, Paleo, dairy-free, nut-free, allergen-free and gluten-free, organic, and non-GMO items. I honestly thought it would be more expensive than my local stores but I was wrong. Plus, the packaging is the best I have ever seen in my experience purchasing online. The pics here don't show that well because I unpacked so that you can see my goodies! But they do go above and beyond to ensure protection during shipping. And... I don't have to leave my house. I wait until I have a $50 order for the free shipping. And then I just sit back and let my stuff come to me. Thrive also offers their own Thrive brand option for many products. I have never been a store brand buyer, having been grossed out too many times to keep taking the bait. But my experience with the Thrive brand has been quite positive so far. As you can see above, I've used their coconut flour, spices, and chia seeds, among several others items not shown here. One of my favorite aspects of the company is that Thrive is committed to expanding access to healthy living... meaning that healing food and products shouldn't just be for the wealthy but for all people. For every membership purchased, one is gifted to a low-income American family. I've been accused many times of promoting a life style that only the rich can afford. As a not-rich-mom of 8 kids, this accusation doesn't stick to me. I understand the difficulty of living in a culture in which it costs more to afford healthy food than garbage food. Grocery bills for a family my size can be shocking. I am grateful to companies such as Thrive which make it a little more accessible. Healthy food... healing food... costs money. Since our lifestyle change, we have definitely seen our food budget expand and now embrace that as an acceptable sacrifice for good health. We trade doctor bills for food bills! There are ways to equalize the budget problem; planting gardens (and finding friends with gardens), learning to meal plan, learning to cook for a family with good ingredients, bartering in the community, and finding companies that make it a mission to provide more accessible health care. Yes, I'm one of those people... Food is my primary health care. Register for free to browse the Thrive Catalog, see member savings, and receive 20% off your first 3 orders. Start your trial. With your first purchase on Thrive, you'll start a free 30-day membership trial. See how much you save. Cancel any time. Join the community at Thrive for just $59.95... and receive access to many of the world's best healthy products for a full year. With your membership, Thrive will donate a free membership to a low-income family. Since that is just a small portion of what Thrive sells, I don't find that it detracts at all from the overall value and I'm increasingly impressed over time by what I'm able to find. It's a fantastic service with true value and I recommend it! Unlikely as it sounds to my sweet-loving mind, I made it through my fifth Christmas and Easter seasons without touching a single wheat flour cookie. In fact, I haven't eaten a bona fide wheat cookie since May of 2012. There have been many times when I've felt deprived of all of the food-related pleasures that others were enjoying. Since then, I've discovered the wide and wonderful world of gluten free baking. These are not your mama's gluten-free cookies, people. Eat, celebrate, be happy. The grain-free world has literally exploded with delicious cookie and dessert recipes in the last couple of years. Many talented food scientists/artists all over the internet have changed my life. Listen to me... I am no longer deprived. I eat cookies. Delicious cookies. And most of the time, the ingredients are astonishingly good for me. I love my ingredient lists and don't feel guilty when I eat several. 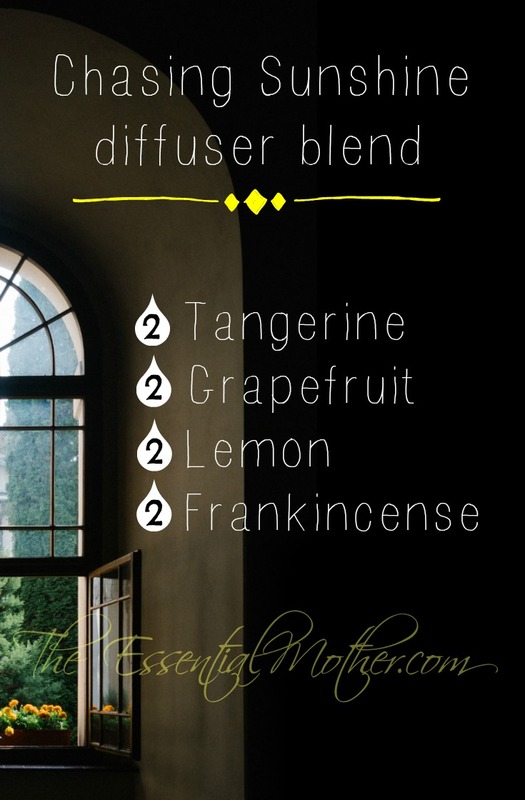 No more stomach aches. Just good solid nutrition. Because I battle autoimmune disease, I do not indulge in gluten free baking frequently. 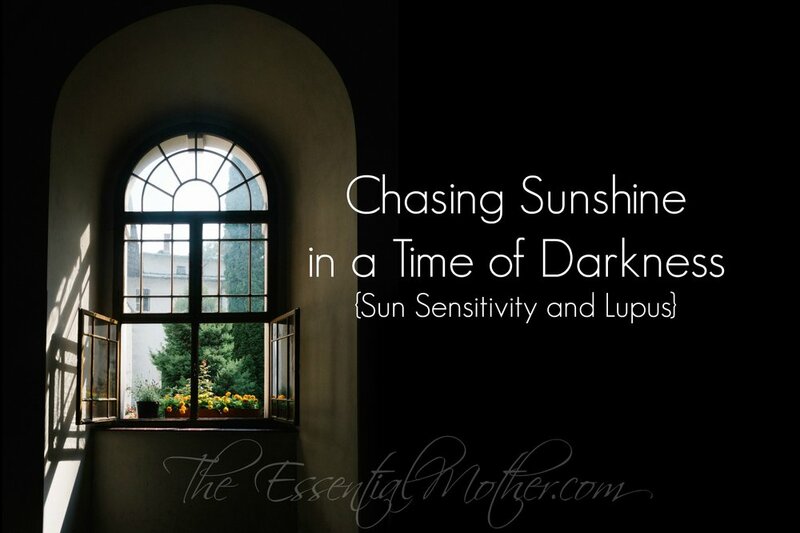 During the easy times when my body is at peace, I can enjoy about once a week. When I am hit with a flare, I abstain completely. My favorite indulgence is The Essential Paleo Carrot Cake which makes a delicious dessert, breakfast, or snack. I tossed the last bit of my wheat flour long ago and am slowly learning how to bake efficiently with alternatives. 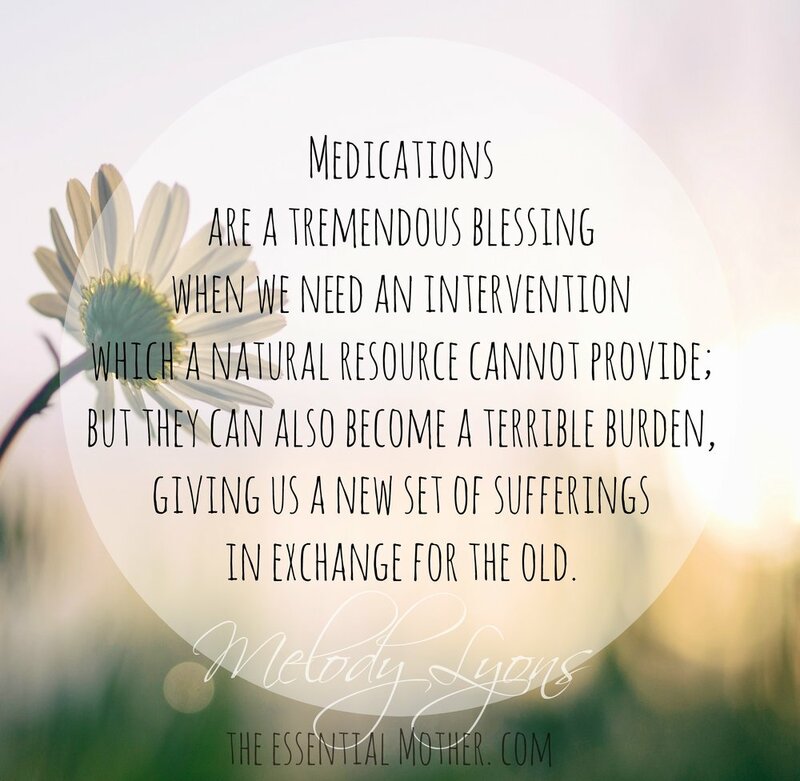 One of the obstacles I faced at the beginning of my journey was actually having the ingredients on hand when I needed them. I have recently been inspired by the constant calls for help on social media to provide a list of my basic wheat free whole food pantry to share and to reference. I'm including links (yes, some are affiliate links) to the places where I purchase my own supplies with exceptions noted. Just because something says "GLUTEN FREE" does not mean that it's health food or even remotely nutritious. When I say "Gluten Free Baking," I am NOT referring to the box mixes that are starting to glut the shelves. Those are basically gluten free versions of garbage food. Rice flour, corn flour, tapioca flour, and potato flour are not nutrient dense foods; they are cheap, easy, and nutrient deficient wheat flour substitutes. There's a place for these goodies in our lives... BUT... 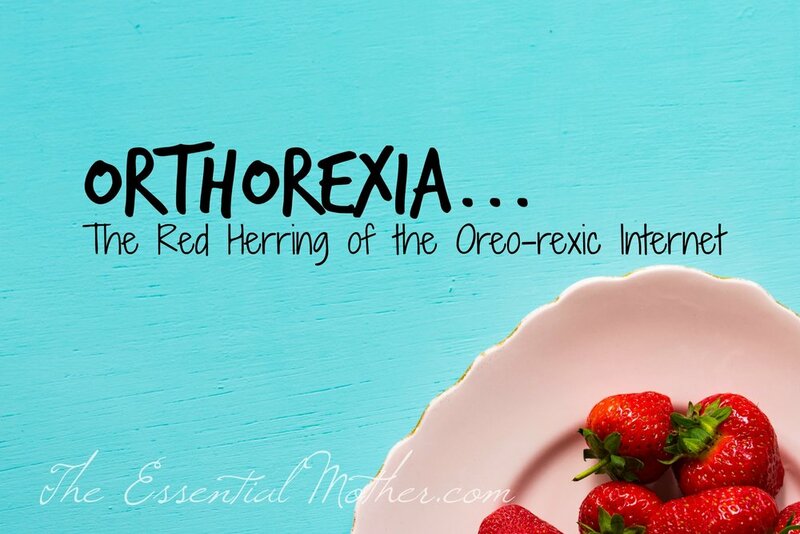 If you eat a lot of them regularly, you will get sick and gain weight. My pantry no longer showcases giant containers of wheat and sugar but all of the following are regulars. Not as cheap as white flour and sugar but as I know from experience... Good food is cheaper than hospital bills. If you don't know my story, read it here. Almond flour is a staple at my house. We don't use it daily but we use it regularly in everything from chocolate chip cookies to pancakes to birthday cakes. A delicious, nutritious chocolate chip cookie when you are gluten free is worth it's weight in gold! I buy almond flour in bulk through Amazon in 25-pound increments because it is a couple dollars cheaper per pound that way and we have a lot of kids to feed! The drawback? The packaging is impractical and you will need to repackage into gallon freezer bags asap (if you have room in the freezer) before storing. I store them flat so they stack like books. It is also available in 3-lb bags which is more money per pound but not as challenging to keep. Bob's Red Mill almond flour is available locally and on Amazon but I only use it if I can find the Super-Fine and not the meal. Coconut flour tends to absorb moisture from recipes so a little goes a long way. It cannot be used to replace regular flour 1:1 but is excellent in many bread, muffin, and cookie recipes. I even use it to "bread" my pan fried chicken and none of the kids can taste the coconut. I buy Betterbody Coconut flour locally at our BJ's Wholesale Club for a good price. It is available on Amazon as well and the price fluctuates. Bob's Red Mill is available locally and online and works fine. Most of the muffins, cookies, and cakes that I have been making lately do not require sugar but do call for honey. I buy local organic when I can but I can't always fit it into the budget. I just buy big jars at our warehouse club. (I'm not going to let the perfect get in the way of the good here.) If you can afford raw, local honey, do it! You can also buy on Amazon HERE. I use pure coconut milk for much of my gluten free baking as a cow's milk substitute. I'm not talking about coconut drink, I'm talking about pure coconut milk untouched by other ingredients. This goes in our cookies, pancakes, smoothies, homemade ice cream, and cakes. And when I'm really missing ice cream and feeling lazy, I eat it straight with frozen berries. Nice, delicious healthy fats! Golden Star is the only local brand I have found that is free from soy or any other ingredients except coconut milk and water. I find it in cans at my local Walmart in the asian food aisle but you can also find it for sale on Walmart.com and off and on through Amazon. If you don't mind soy, there are a number of other shelf brands available. The soy is there as an emulsifier but it changes the texture. With the pure coconut milk, the cream will better separate from the water and rise to the top. You can mix it up again or just use the cream as is. I advise mixing for any recipes which call for coconut milk. I use coconut oil for everything from moisturizer to cooking. I fry in it, bake with it, wash baby's head with it, make lip balm with it. I look for it on sale locally but have also purchased online. There are different ways to buy coconut oil but unrefined is going to provide you with the most nutritive value. Coconut oil is solid at room temperature but has a low melting temperature... do not be alarmed if it turns to liquid in a warm house. Vegetable oil is forbidden in my house. Wherever it used to be in baking, it is now replaced with coconut or olive oil. There are many brands of organic cocoa powder out there and I recommend them if you can afford it... but I just use Hershey's because I burn through it. It's yet another example of how I must compromise with the perfect until I am no longer feeding a family of ten. As soon as my grocery bill goes from shocking to reasonable, I would love to make the switch. Here's a picture of a Gluten Free Easter creation. The cake is made from a cocoa and almond flour/coconut flour base. The frosting is buttercream with grass fed butter... A definite splurge! I rarely eat dairy but this was an enjoyable exception. Unsweetened shredded coconut is difficult to find around here so I order mine online and love the product. My favorite brand is Let's Do Organic and buying it in bulk on Amazon is the best deal for me. I have a lot of trouble finding this locally. Cacao Butter is a beautiful food that I consider an indulgence. Not cheap. I use it to make my own chocolate energy bar (aka homemade chocolate with chia thrown in for fun and protein) and to add to an occasional recipe. I have purchased from both Rose Mountain Herbs and Amazon. Most commercial brands of vanilla extract have sugar added so I've started making my own. When I have to buy it, I double check the ingredients to make sure that it is just vanilla and alcohol. I also buy vanilla beans to use in very special desserts. Because I am sensitive to soy and soy is even in most organic chocolates, I buy Green & Black's organic dark chocolate for my splurges. In addition to the clean ingredients, I also find the taste more pleasant than other leading brands. If you are looking for dairy, nut, soy, gluten free chocolate chips, Enjoy Life Semi-Sweet Chocolate Chips are a great option. These can be found many places and I've been happy with Bob's Red Mill. I buy them in larger quantities online to get a discount. I add them to smoothies, homemade larabars, and chocolate. These little fruits are a surprisingly wonderful way to sweeten up many desserts. Get yourself a good food processor (I found a Cuisinart at a garage sale) and a whole new world of healthy dessert will open up to you. You can find them anywhere that sells groceries. Sometimes you just need something to replace white sugar 1:1 in a recipe and coconut sugar does that really well without the same affect on your glucose levels as white sugar. The taste is good. Texture is good. And it is finally available locally for a reasonable price. I buy Betterbody at our local BJ's Wholesale and on Amazon when the prices dip. This is not your mama's knox gelatin. Gelatin is a wonderful for joint and bone health and even better when you know that the source is all grass fed beef. I buy Great Lakes Unflavored Gelatin. Gelatin is used in many paleo and gluten free recipes to help desserts set up without eggs or cheese. Get the real stuff. It seems pricey but very little is needed to sweeten a recipe. I have to conclude by passing on my current favorite resource (besides Pinterest which is endlessly wonderful) for the most wonderful gluten free recipes. I have not been disappointed with any recipe I have tried from Against All Grain. 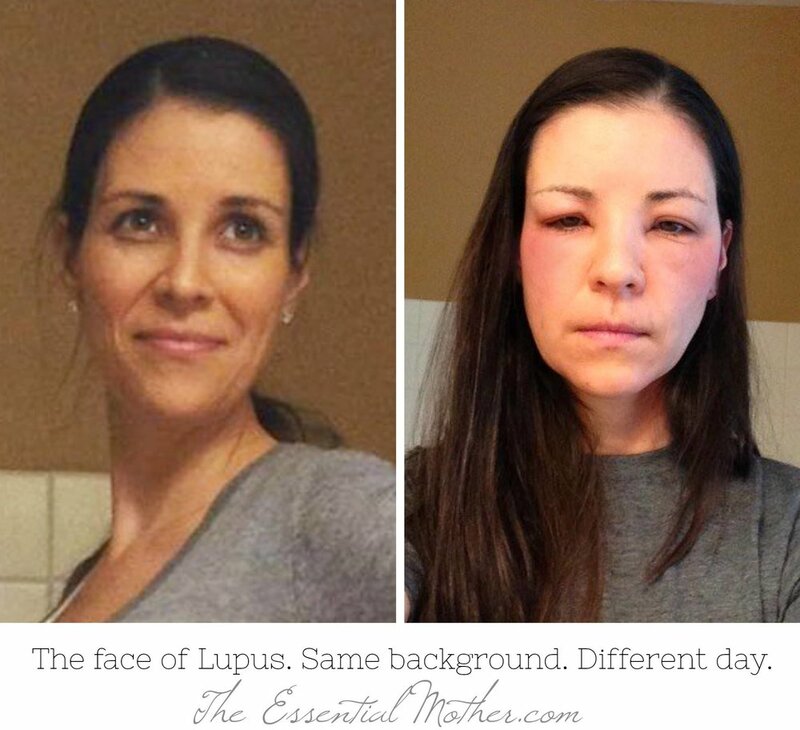 Danielle Walker is a beautiful person with an inspiring story of how she has managed autoimmune disease with nutrition. 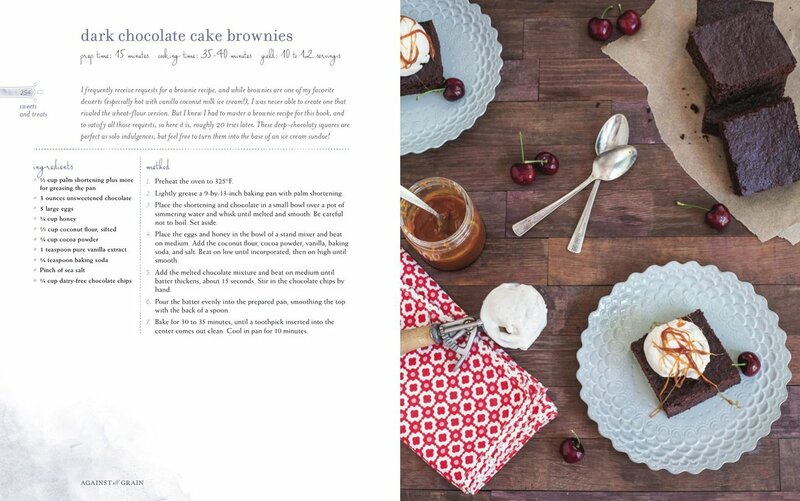 In addition to her website, her physical cookbooks are absolutely gorgeous and useful. I also love Simply Gluten Free Magazine. I have found some incredible and nutritious recipes in here as well as a heads' up to new brands and tips for eating gluten free. Is there anything I should add to my pantry? Let me know in the comments! I have been a gluten-free clean eater for five years and this snack is my hands down favorite. Absolutely no question about it. I would eat Sweetpotato Awesome just as often as I have it in my hands. I would be happy to receive it as a gift on my birthday. Yes... it's that good. Super crunch that we gluten free peeps so often miss. Clean, organic ingredients that can be counted in the single digits. On top of all that, Sweetpotato Awesome was created by entrepreneur, Joshua Kingdon, who is a man of true integrity and excellence. If there's one thing I love more than food (?? ), it's supporting small business and the hearts and souls behind a product. What is my favorite flavor? I'm sorry... I cannot choose. Each one I tried became my new favorite and then after I finished the last one, I'm pretty sure I missed them all equally. Plus Sea Salt Beets Amazing (which is NOT sweetpotatoes but will please all beet lovers out there). Remember, these are not chips, they are SLICES... of organic freeze dried sweetpotatoes goodness prepared with organic, nutrient dense ingredients. There are so many ways to eat them... check out the website for ideas. Don't balk at the price. It reflects the quality and goodness of what is in these bags! It also reflects the blood, sweat, tears, and regulatory hoops that entrepreneurs must jump through in order to be awesome. I used to feed my toddlers fish crackers. Now that we are gluten free, I don't intend to replace processed junk with gluten free processed junk from Walmart. Junk is junk. Baby loves these. Mama is happy. Please visit the Sweetpotato Awesome site to get your own... (and put another bag in the cart for me).